Tomorrow is the day for the big race! 10 Km downwind from Póvoa do Varzim do VIla do Conde. 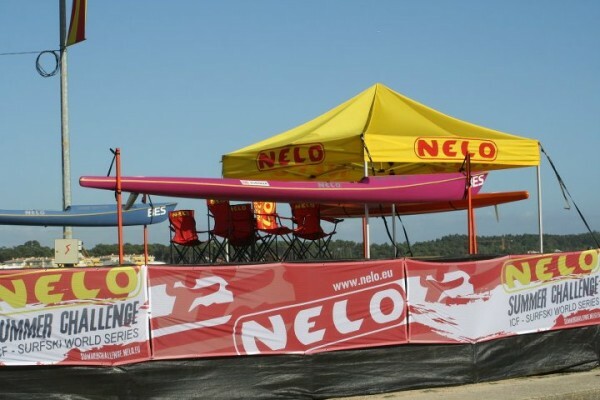 The two turning points wil be the same as last year and this will allow us to compare races and times and to start building a history of the NELO Summer Challenge. The biggest is is the finish, this time in Vila do Conde and not in Azurara’s beach. This change will allow for better organization and better service for our athletes, while keeping everything for an exciting finish. The race will be broadcast live from our website with live comments, viewers feedback, realtime standings and virtual tracking. Don’t miss any of the action!